Savor the sweetness of summer with plump, juicy peaches. EFM’s vendors pull out all the stops to satisfy your craving for that fuzzy peach goodness. Stop by Scholl Orchards and Comeback Farm (organic) for peaches straight from the orchard to you. 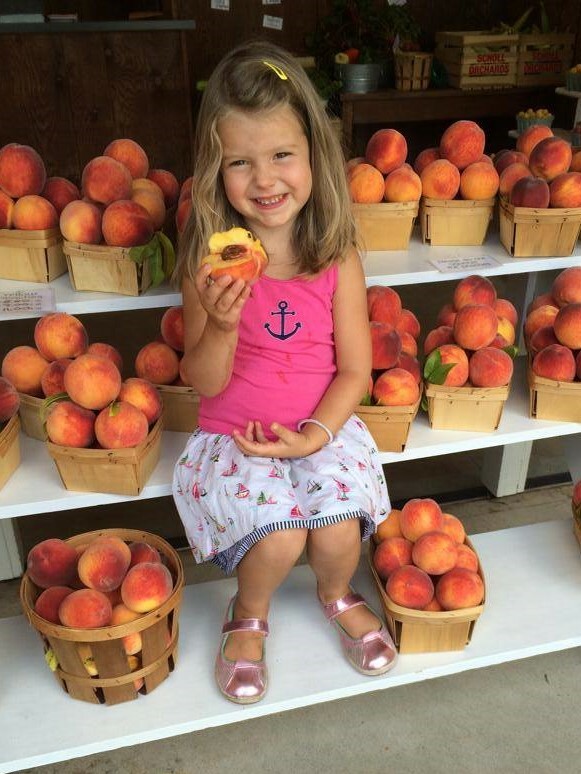 Indulge in peach cobbler, peach smoothies, peach sangria, peach pie and peaches by the bushel! Kids activities, live music and more. Power of Produce Kids’ Club members can do a peachy taste test and earn $2 in POP bucks to shop the market. Kids can also stop by a Teddy Bear Clinic or make dirt cupcakes (out of cookie crumbs and gummy worms) with the Easton Compost Program for $1. Bob Keel will be in the Music Tent from 9:30 – 11:30 am and Valley Milkhouse will present a cheese-making demo at 12 noon.